Awaiting the winner of the all-army Western Conference final between SKA and CSKA are the men from Kazan and their in-form forward, Justin Azevedo. The Canadian has scored points in his last eleven games, which places him just one step away from matching the record scoring streak, jointly held by legendary pair. Sergei Mozyakin and Pavol Demitra, and provides us with the perfect excuse to look back at the best scoring runs over the League's 10-year history. Four years ago, in the colors of Lev Praha, Azevedo conquered almost all before him in the KHL playoffs. 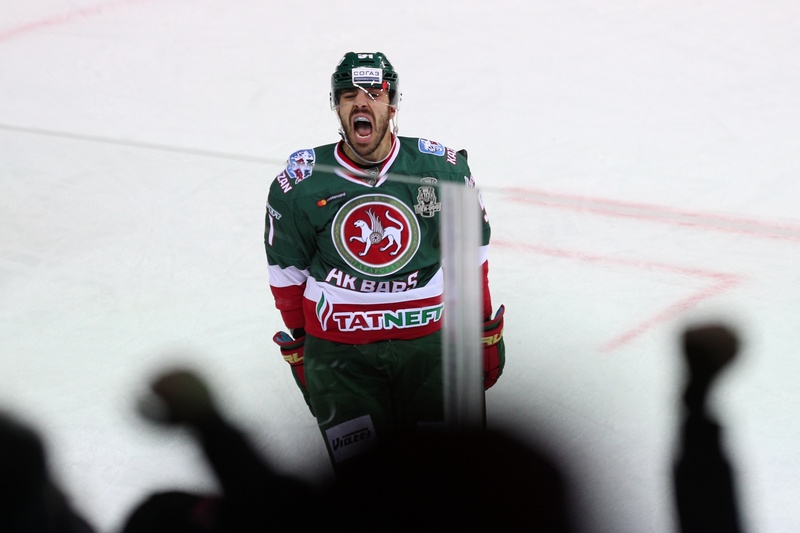 In the end, his team were second best in a thrilling final against Metallurg Magnitogorsk, but Azevedo nonetheless notched points in each of the seven games of the final series, a feat which no-one has matched before or since. In this year's knockout stage, he has scored points in each of his last 11 outings, following a single dry game in Khabarovsk when his team suffered a surprise 1-4 loss. Now, with a place in the final already secured, Azevedo tops the playoff scoring charts with 21 points. For many years, the playoffs has been the time when Mozyakin, more than anyone else, makes his mark on the season one way or another. In the 2016-17 season, the reigning Gagarin Cup champions opened their postseason against the newbies and outsiders from China, Red Star Kunlun, but he surprisingly drew a blank in the first two games. Then, in Beijing, Mozyakin embarked on an 11-match series in which he never returned to the locker room without having topped up his account. 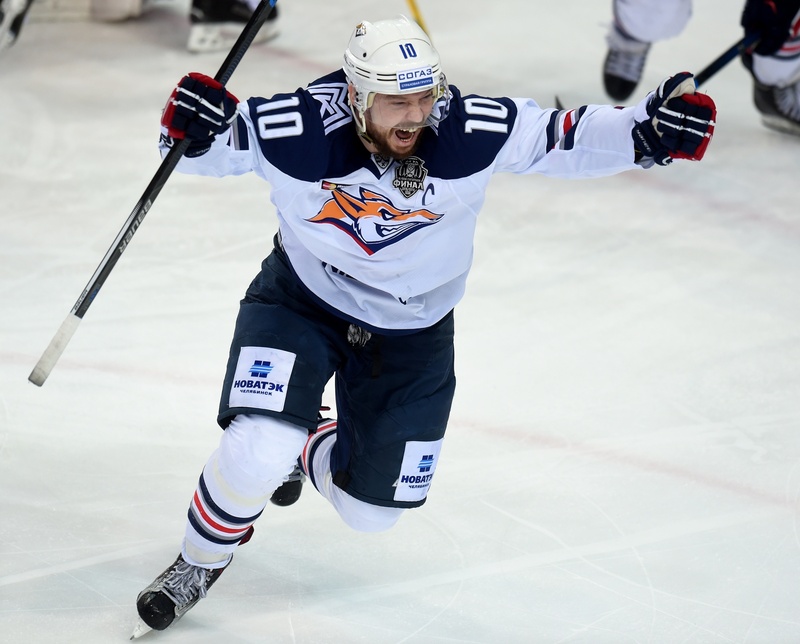 The scoring streak only ended in the final series, when curiously, the only game in which he failed to score was also the one in which Metallurg achieved its solitary victory over SKA. The late Josef Vasicek - Stanley Cup winner, Carolina Hurricanes, Nashville Predators, New York Islanders and finally, Lokomotiv center - was immense in every playoff game for the Railwaymen. In the 2010-11 season, in each round the Yaroslavl team and its opponents set new records for scoring, and against this backdrop, the big Czech forward recorded an 11-match point-scoring series, starting with Game 3 in the first round against Dinamo Minsk and stretching to Game 2 of the Western Conference final series against Atlant. The legendary forward's longest scoring streak in the playoffs arrived during the season in which the men from Magnitogorsk clinched their second Gagarin Cup. In the first round of the knockout stage, against Avtomobilist, there was little hint of what was to come when Mozyakin left the ice without scoring after the first three games, but then the Metallurg captain scored points in each of a dozen straight matches, including all the games against Sibir, and continuing all the way to Game 5 of the Eastern Conference final series against Salavat Yulaev. Admittedly, the late, great Slovak tallied one point fewer than did Mozyakin, but the former Senators, Blues, Kings, Wild, Canucks, and Lokomotiv man needed nine fewer days in which to string together his record scoring streak. Moreover, he compressed his scoring spree into just the first and second rounds, and he embarked on this impressive run from the very first game of the playoffs – a record which is likely to stand for many more years.